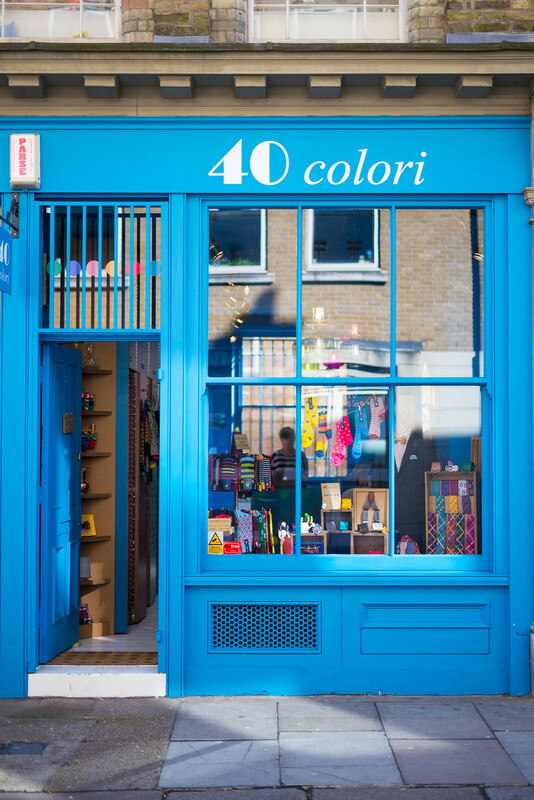 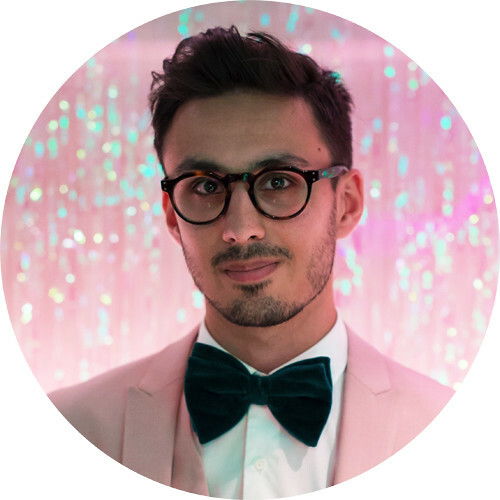 Given my love for bow ties and all things bright and beautiful, 40 Colori is a store I ought to have explored far sooner than this weekend. 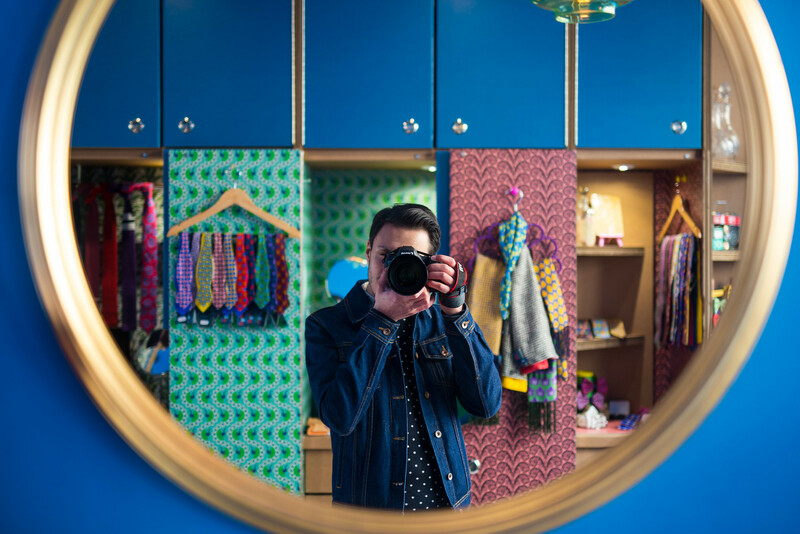 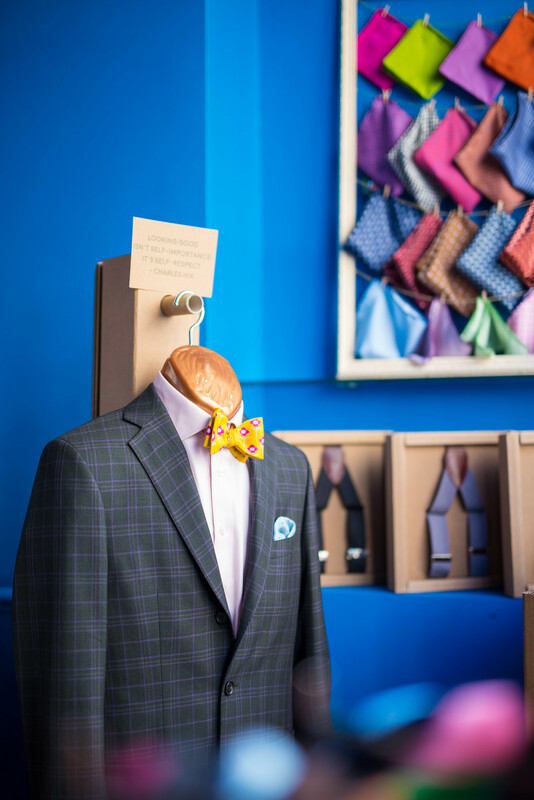 Strolling along Cheshire Street in Shoreditch, it was impossible to ignore the vibrant blue shopfront, and inevitably my wide eyes were captivated by the fashionable fancies and colourful décor I had glimpsed through the shop window. 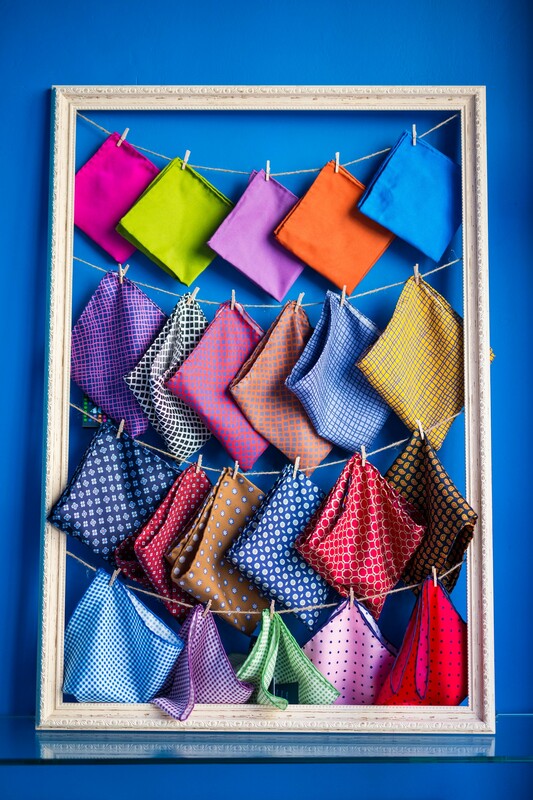 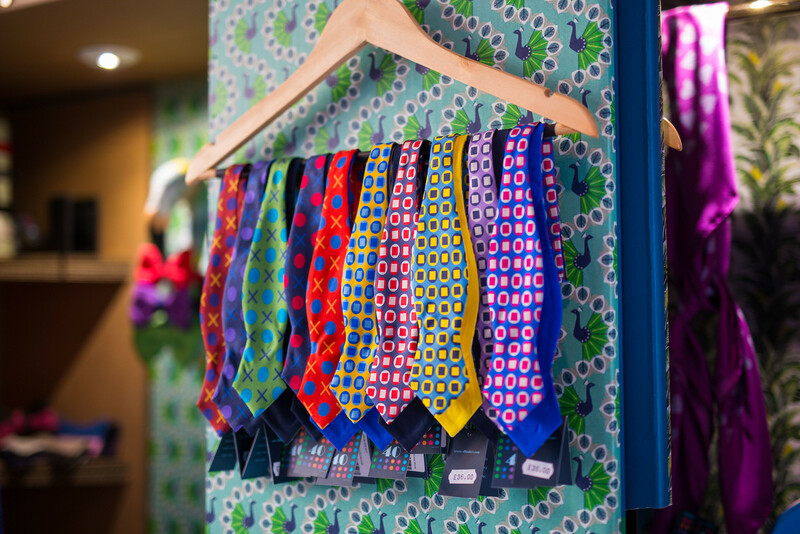 The accessories label was the lovechild of a London-based creative group and an artisanal tie manufacturer in Como, Italy, who sought to break into the men's accessories market with colour and class. 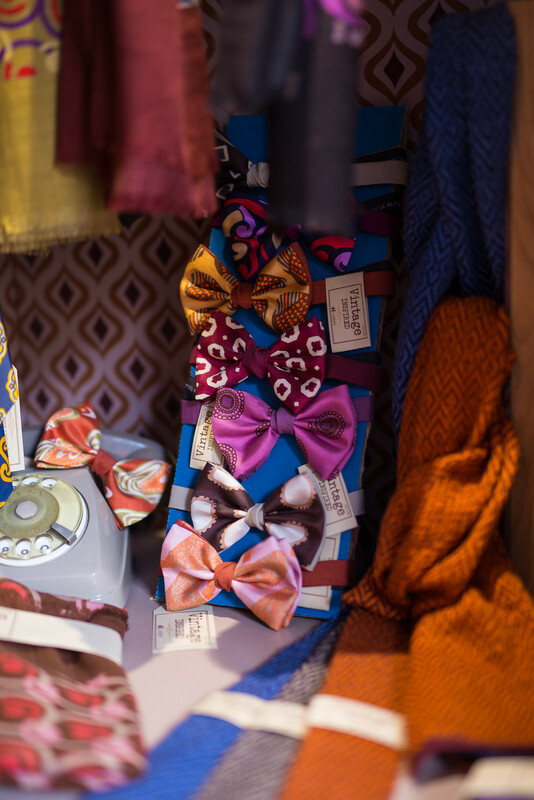 That said, "class" is not how I would necessarily describe my own disposition upon entering the boutique, as I struggled to hide an excitement comprable to a hyperactive child entering a sweet shop with a fistful of pocket money. 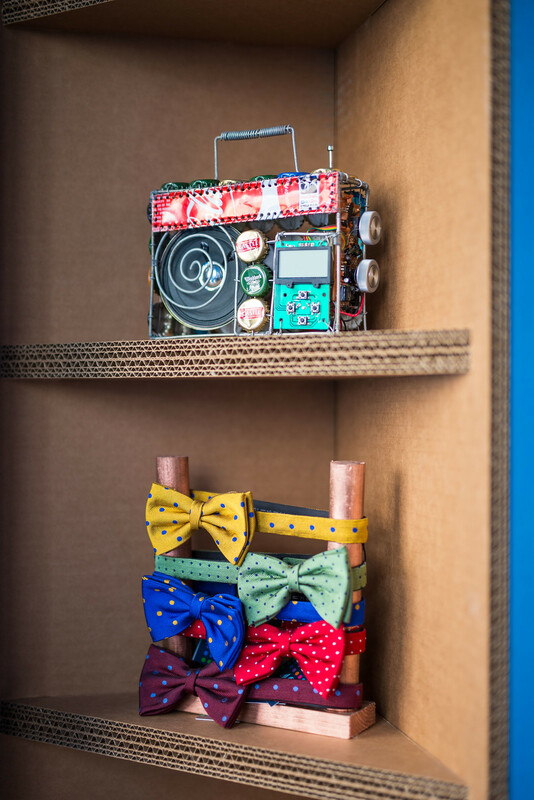 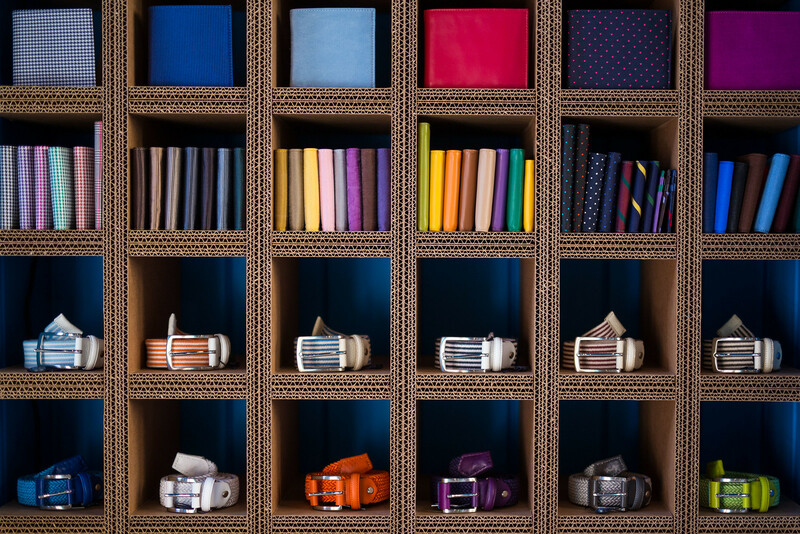 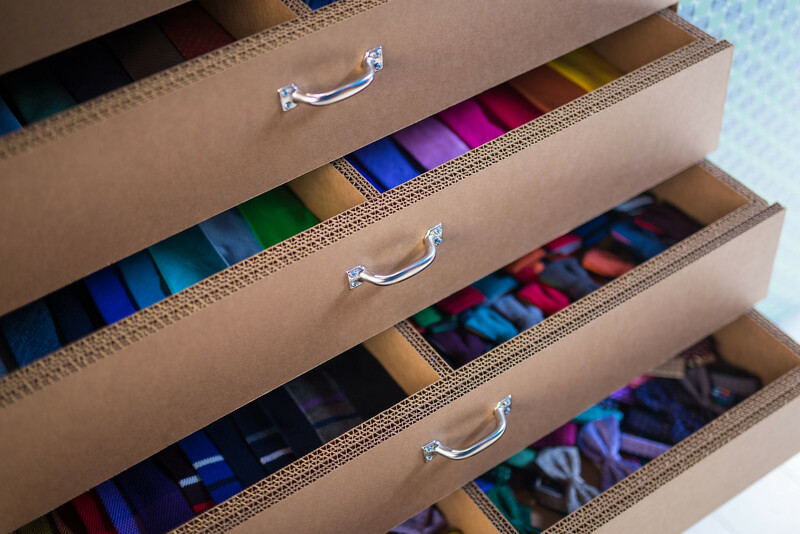 Displayed in recycled cardboard cabinets to match the company's sustainable ethos, the handcrafted, multicoloured collection includes knitted and classic bow ties, belts, braces, leather wallets and pocket squares - the finishing touches to the quintessential gentleman.